Turning on your favorite TV show is effortless, but every moment of entertainment is fueled by a behind-the-scenes team of engineers who build and maintain studios and make sure all technical systems run smoothly. At CBS, that team is led by Paul Sears. As CBS’s director of facilities operations, Sears oversees a team of 27, including 15 operating engineers and 10 electricians. 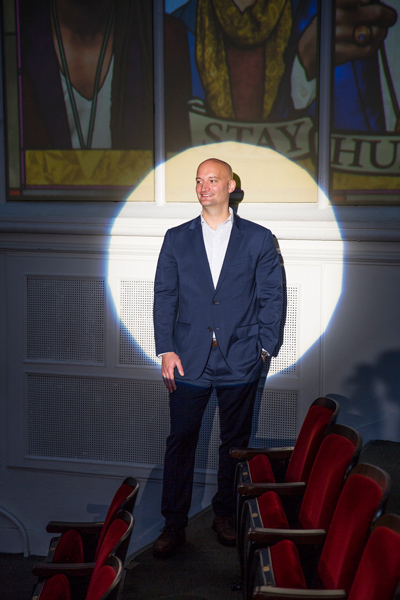 He describes his leadership style as “democratic,” working collaboratively and giving team members enough autonomy to solve challenges on their own. 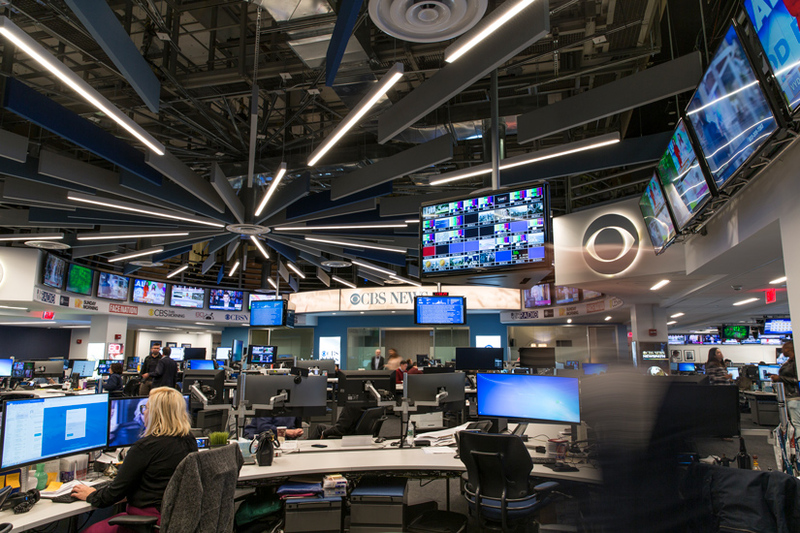 Together, the team manages the New York City Broadcast Center’s 811,000 square feet—which is spread out over eight buildings and takes up almost an entire city block—as well as 290,000 feet of leased space. The team maintains operations and performs maintenance on the mechanical, electrical, plumbing, and vertical transportation systems at CBS. Sears partly attributes his success to his drive to constantly improve himself and chase new challenges. In the early days of his engineering career, he took every opportunity to gain new credentials, earning his master’s degree in electrical engineering and an MBA. He also became a licensed professional engineer in New York. He first landed at CBS in 2006, as a project manager. “After close to five years in utilities, I was looking to make a career move that aligned with my personal interests,” he says. His résumé ended up in the hands of CBS’s VP of design and construction. Impressed, he cold-called Sears and offered him an interview. After four years at CBS, Sears left in search of career growth. He spent time at the Federal Reserve Bank of New York and HBO before being hired on as a project manager at JRM Construction Management. While at JRM, Sears managed the design-build of SpyScape, New York City’s spy museum that opened in 2018. An unusually complicated, intricate project, the design intent was to create a city within a city. “We built multiple freestanding structures within the space to give the appearance of walking between buildings down a city street, and inside each ‘building’ is an interactive exhibit related to spycraft,” Sears explains. Sears’s work at JRM also led him right back to CBS’s door. He managed a variety of projects for the broadcasting company through JRM, including a two-year electrical infrastructure upgrade at the Broadcast Center, completed in 2017. “We added a new utility service point of entry, a new UPS system to add redundancy to the existing systems, and an additional generator to CBS’s existing generator yard,” Sears says. The project also required Sears and his team to collaborate with multiple city agencies, including the parks department, the department of transportation, and the department of environmental protection. As a JRM project manager, Sears also oversaw a lightning-quick renovation of the Ed Sullivan Theater, now home of The Late Show with Stephen Colbert, after the comedian took over for David Letterman. The goal was to modernize the look of the theater and rebrand it for the show’s new host, all while maintaining a feel that would be cohesive with the show’s history. “We had nine weeks to renovate the main theater space, replace major air-handling units, and renovate three floors of office space that hadn’t been touched since Letterman started the show in 1993,” Sears says. Every project comes with surprises, and this was no different. The removal of ductwork from the ceiling revealed an original dome structure and stunning stained-glass windows. “We ended up restoring a lot of finishes back to their original form, which wasn’t part of the original plan,” Sears explains. During his time managing JRM projects at CBS, Sears developed a close friendship with the director of facilities operations there. When the director decided he was ready to retire in early 2018, he called Sears up and encouraged him to apply to be his replacement. It was an easy decision for Sears. “I always liked the people and the culture, and being on the contractor side, I had missed the challenges of project planning and strategy,” he says. Sears stepped into the director of facilities operations role in early 2018. “There’s a lot that goes into producing TV and broadcasting it out to consumers,” he says. The highest priority is maintaining uninterrupted up time—after all, TV never sleeps. “That starts with ensuring your power systems are operating flawlessly and your air-conditioning systems are cooling the equipment that brings the content to air,” Sears explains. Sears is also part of a team working on CBS’s corporate-level energy-management initiative, which aims to reduce the company’s energy consumption and carbon footprint. “We’ve looked at ways to source our energy responsibly and currently are involved in a program to purchase from renewable energy sources, such as hydropower,” Sears says. “We are also part of a grid-saver program, where we remove load from the utility system and support it on our generators to reduce load during high-impact days.” At the Broadcast Center in New York, his team is looking into replacing lighting with LED fixtures and working with Vertiv, the original equipment manufacturer for the majority of the center’s CAC units, to complete upgrades that would allow the data center to function better, saving significant energy.